Do your accountabilities include the management of maintenance? Do your skills include an in depth understanding of all the aspects required to manage the five asset types? This groundbreaking course will transition the way you think about asset management. You will leave this session with a clear understanding of how to align with operational expectations and attain the stability and control that is required to enable maintenance. This 4-day course is constructed of 18 modules aligned with the skills required to become a certified maintenance manager. This workshop is co-located with The RELIABILITY Conference and requires separate registration. Instead of navigating presentations 18 modules of advanced learning will be presented to you. The workshop breaks and lunches coincide with the conference and you will be able to participate in all evening social events. CMM Workshop attendees receive all conference meals and networking activities. 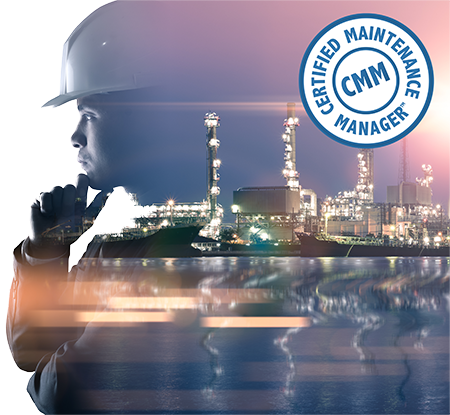 What is the Certified Maintenance Manager Workshop? This advanced workshop is designed any team and/or individual who is a stakeholder in the management of maintenance. We cannot maintain our way to reliability, but we can lead and influence our way to reliability. This series of 18 sessions will alter our perspective on what it takes to manage maintenance and deliver the AIM of our organization. Maintenance programs can be threatened by operational choices, errors in maintenance, process anomalies and others. Maintenance programs only succeed if maintenance requirements and operational expectations are aligned. Maintenance strategies evolve over the life cycle of equipment and should be correlated to a life cycle stage. Maintenance management is not just managing physical assets, it also requires management of financial, human, information/Knowledge and intangible assets. This course will alter the way you view maintenance management and suggest strategies that when combined with known systems, processes and tactics will unlock the true value of your assets. You will be empowered to gain the stability and control required to progress to maximizing asset value.